Gibson to reproduce Randy Rhoads classic Les Paul guitar – Gibson Guitars are finally doing something right since their Gibson Hendrix Strat failure. 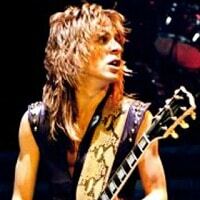 The guitar company is set off to reproduce Randy Rhoads classic Les Paul guitar. 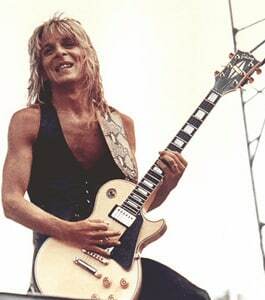 According to Gibson.com, the 1974 Les Paul Custom guitar that Ozzy Osbourne guitarist Randy Rhoads played on the classic albums “Blizzard of Ozz” and “Diary of a Madman” has been one of the most requested reissues ever. Now the Gibson Custom Shop has announced the release of this legendary axe. More information will be made available soon. It is one of the most iconic guitars in rock history: Randy Rhoads’ 1974 Les Paul Custom. 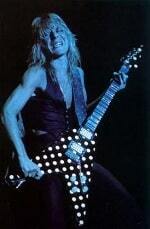 The guitar that Ozzy Osbourne sideman Randy Rhoads drove to stardom on the landmark albums Blizzard of Ozz and Diary of a Madman has been one of the most requested re-issues ever. Now the Gibson Custom Shop is pleased to announce the release of this legendary axe. The guitar that drove “Crazy Train” off the rails will soon be available in stores. Check back in the coming weeks for more details! Jackson delivered the news at this year’s NAMM (National Association Of Music Merchants) show (which was held January 14-17, 2010 at the Anaheim Convention Center in Anaheim, California) with the announcement of the Randy Rhoads (OZZY OSBOURNE, QUIET RIOT) “tribute guitar.” In collaboration with the Rhoads family, the Jackson Custom Shop built 60 exact replicas of the first Randy Rhoads Jackson guitar, often referred to as the Concorde. 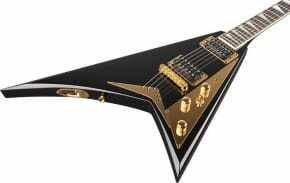 According to TheMusicZoo.com, Randy’s tribute model is a direct replica of his original 1980 Jackson asymmetrical V-shaped guitar that he personally designed. He intended to call this body style the Concorde and it is widely regarded as the “first pointy guitar.” The original guitar had been kept at the Rhoads family music school since his death, and they say it had not been out of the case in over 20 years. 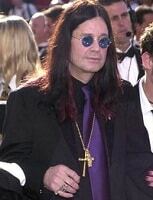 In 1982, Rhoads, the then-lead guitarist for OZZY OSBOURNE, and two others were killed at Flying Baron Estates, just outside Leesburg, Florida, when their small plane struck Osbourne’s tour bus, then crashed into a mansion. The Gibson guitars ar the best.